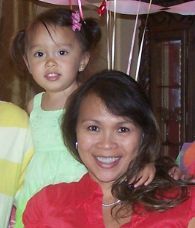 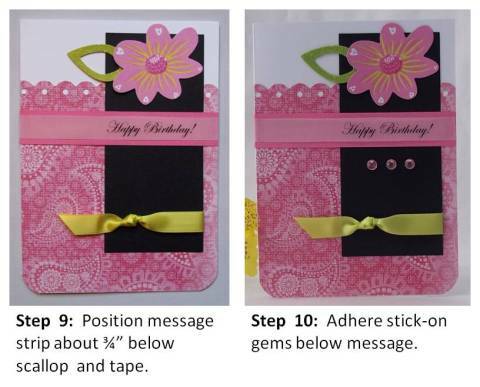 Make birthday card ~ beautiful handmade card ideas can be created using various punches and embellishments. 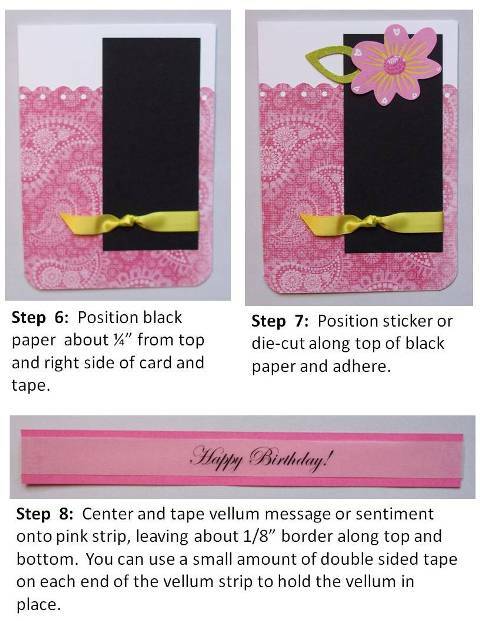 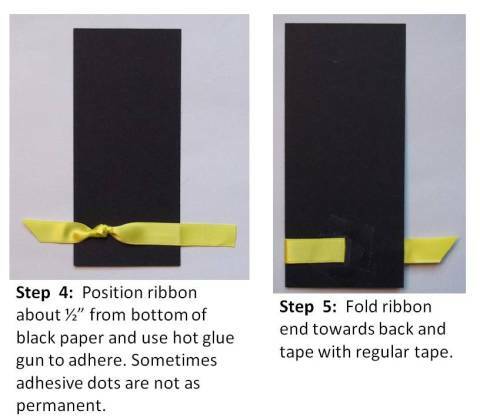 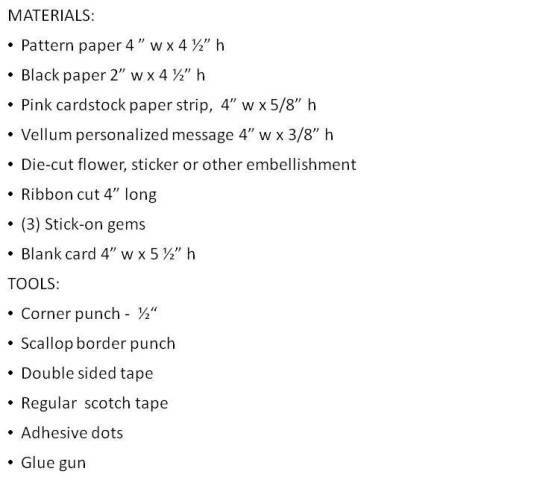 Create lots of pretty card making designs with step-by-step photo instructions on this site. 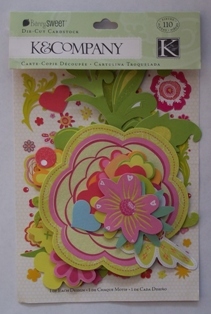 Since I had so many flowers in my die-cut flower pack, I decided to make a greeting card incorporating one of the flowers. 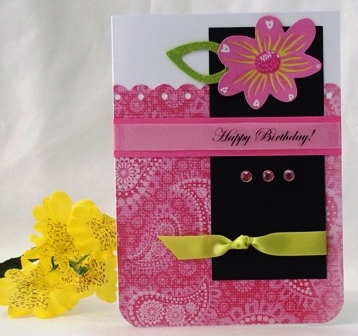 I used the colors on the flower to help me coordinate the color scheme for my background print and embellishments. 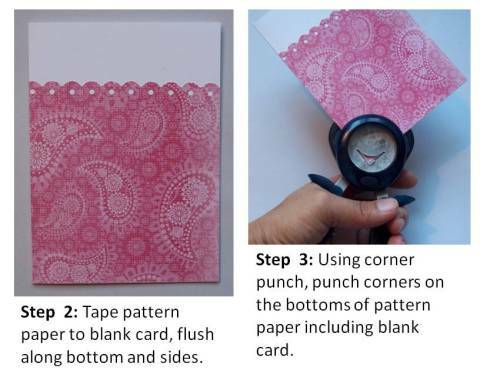 I used my corner punch to round off only the two bottom corners of my handmade card and then used a decorative scallop punch on the background print. 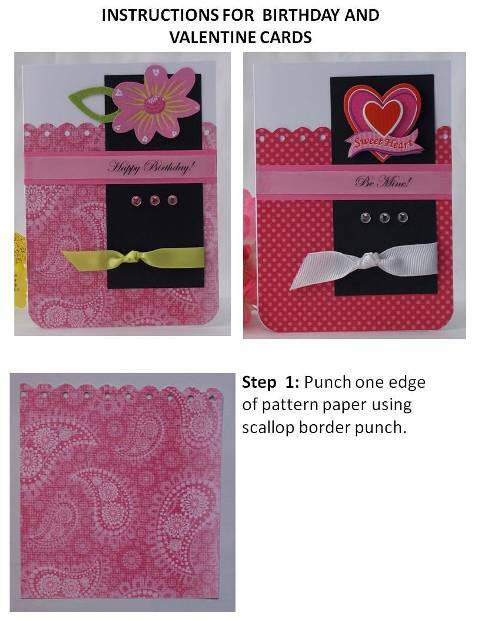 This card making idea can also be used for thank you or get-well-soon cards and even Valentines day cards by switching out the die-cut flower with a Valentine theme sticker or die-cut and changing the sentiment.